A recent addition to the Freelard neighborhood is this BBQ joint at 4105 Leary Way NW. Even though the scene contains a lot of detail, I find that picturesque places like this are easier to draw since slight errors in proportion are much less noticeable than when drawing examples of classical architecture, which followed certain principles of proportional relationships. 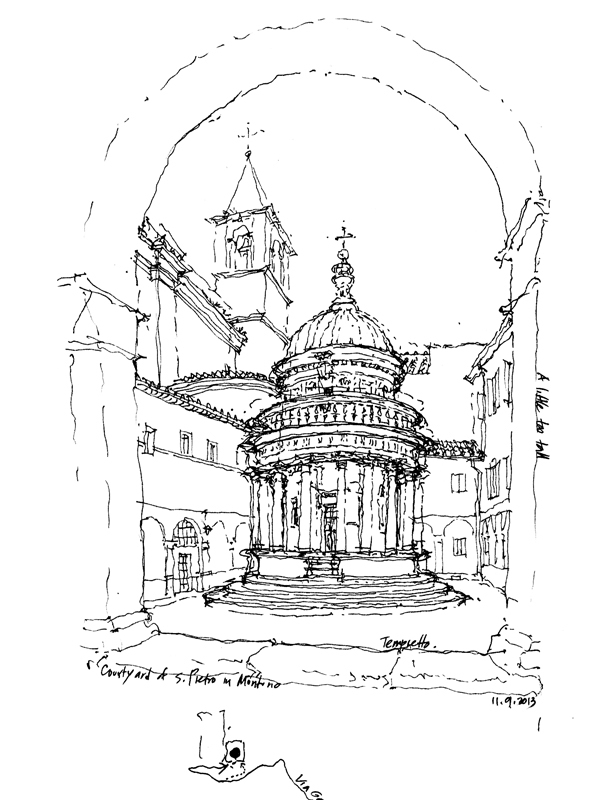 For example, drawing the Tempietto in Rome was a real challenge. Notice the comment that I wrote after finishing—A little too tall… I had exaggerated the height of the structure just a bit too much. 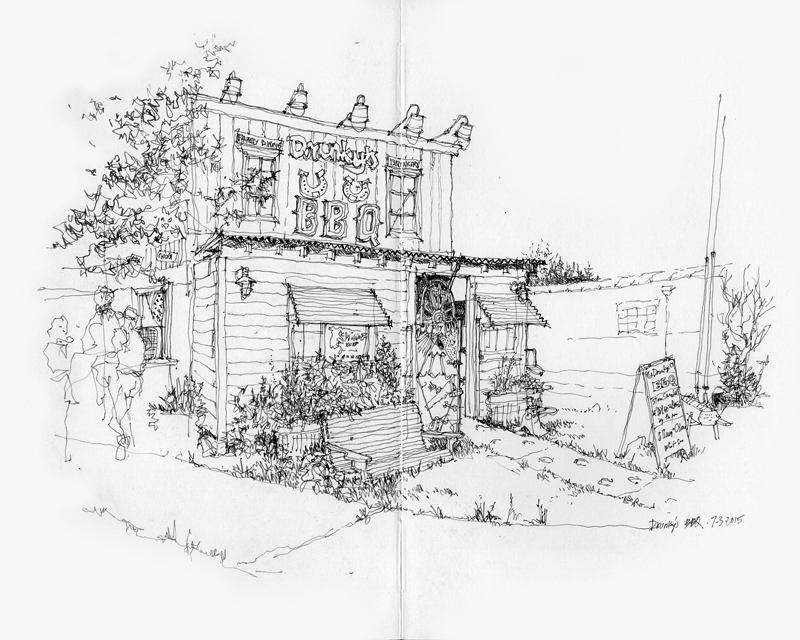 This entry was posted in Design, Drawing, Seeing by FC_admin. Bookmark the permalink.